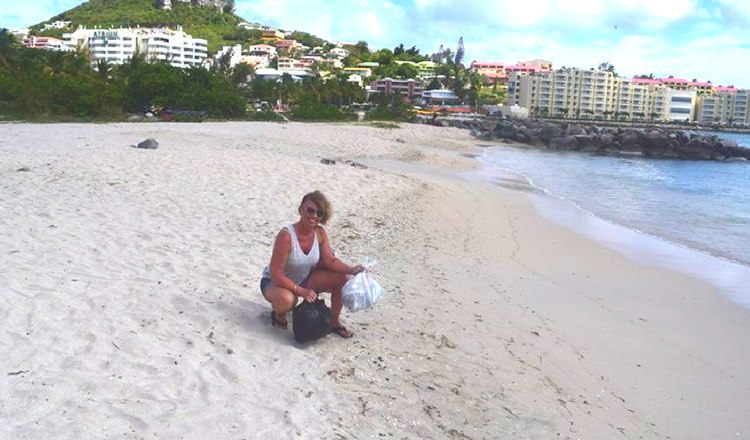 “Have you gotten your bag on today?”, this is what Annissa Coy asked in the Facebook group “Pirates of SXM”, and this is from this group that we learned about her initiative for the environment. 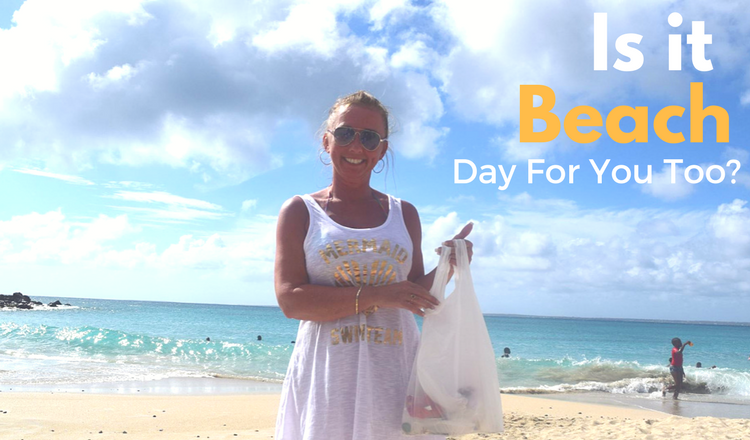 She shared her story in the group along with a photo of herself picking up garbages on Simpson Bay Beach. She encourages everyone to do the same things and as she says: “if just 10000 people who visit the island over the next year pick up one bag of garbage from the beach during their visit to the island we could see 10 tons of garbage removed from these beautiful beaches”. The concept behind the action is to pick up one bag of garbage each time we would go to the beach. Let’s admit it, most of us don’t have this reflex, right? We watch the garbages on the sand, we think “this is disgusting! How people can leave their garbage on the beach”, and we do nothing about it. And most of the time when we picnic on the beach or when we have a little snack, a little wind would blow away some of the napkins we carried and therefore add more garbage to the garbage already on the beach. So even if we don’t directly intend to pollute the beach, we finally do. 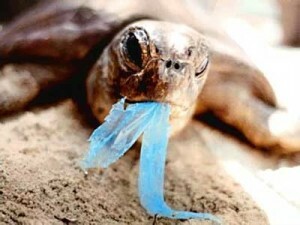 More or less, we are all responsible for the pollution of the beaches. We really think that Annissa is one of this rare person that is genuine, generous and that takes action to make our world a better place. To tell you a little more about her, she was born in a small apple town called Yakima Washington State in the US. She has been married to her high school sweetheart for nearly 32 years and has 4 children and 3 amazingly adorable grand children. 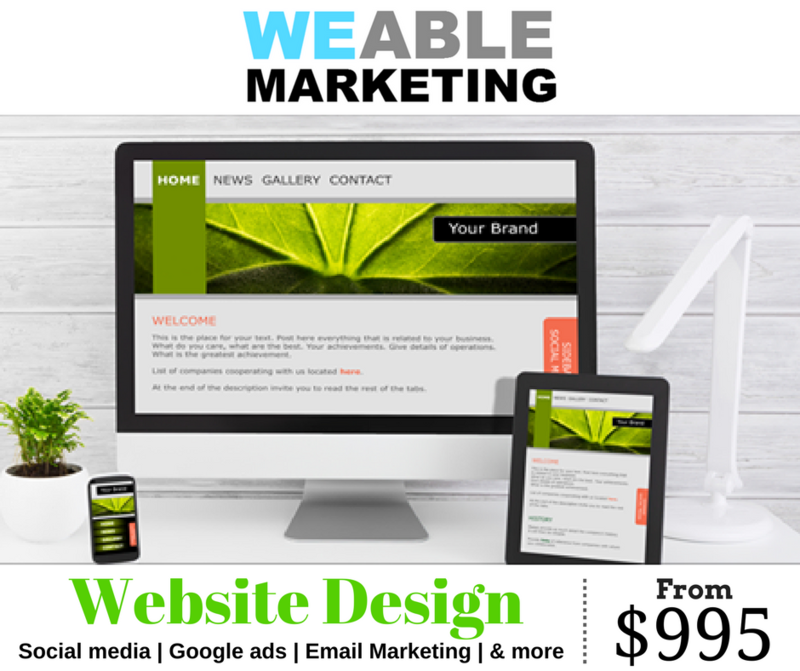 She has her my own business teaching and coaching marketing in the cleaning and restoration industry. She also writes industry articles and have a weekly column that is published. She lives on the Pacific Ocean now in a little town called Ocean Park and she walks the beach almost everyday. She was appalled at all of the plastic bottles, bags and general garbage that she saw each day on her walks so she started taking bags with her and picking up whatever she came across. Then she thought “what if each person around the world spent just 15 or 20 minutes on their beach walks picking up garbage? Just think of how clean our beaches would be everywhere”. So she started posting pictures in local groups of her bags full of garbage and encouraging others to do the same locally then her husband said she should start a page to reach others worldwide so she did on April 1st 2017 and it has really taken off. In her Facebook group “Beachin’ Bag Lady” she has about 70 members already from all over the world. 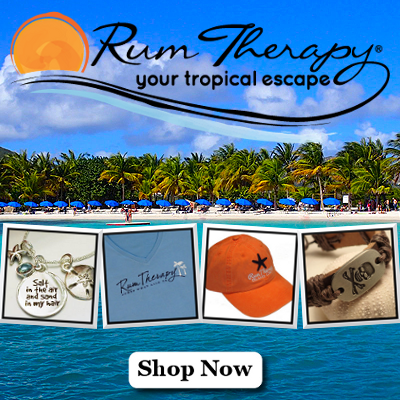 She is passionate about cleaning up the beautiful beaches everywhere she goes. “It is immense the power that we all have to do small things each day, week, month that have a huge impact on cleaning up our beaches. It’s the impact in numbers that is so extraordinary! I do find that some of the garbage is left from beach visitors but I also pickup a large amount that is carried to distant shores by storms or from boats” she says. 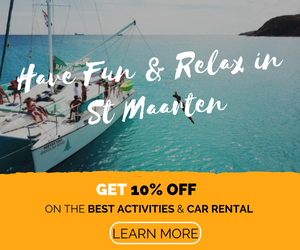 On our St Maarten Map website and social media, we love to help visitors of the island enjoy their stay, but we also are in love with this friendly and unique island, and especially with the nature that makes it so beautiful. We will also take action and pick up garbages next time we’ll go on a beach! 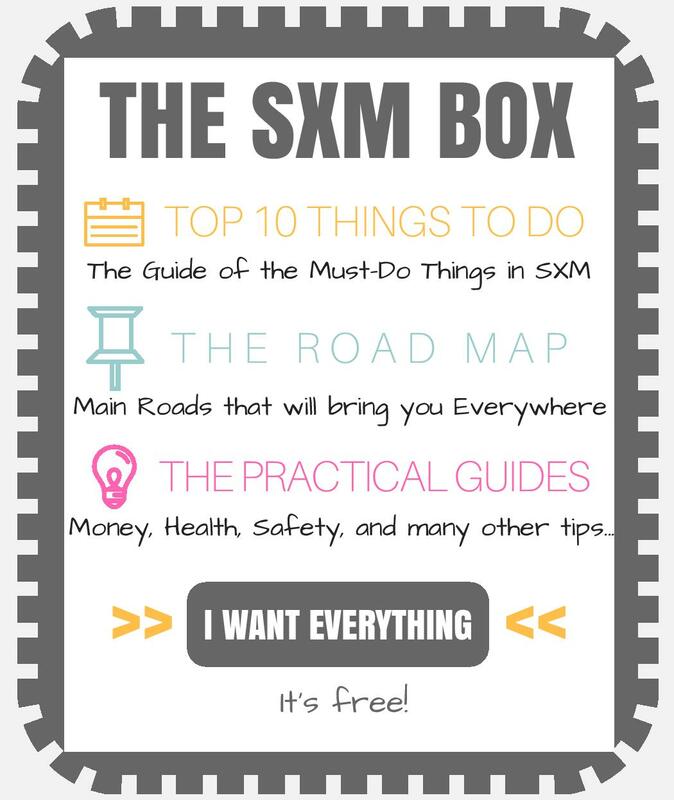 We also want to encourage you (the reader) to do the same thing on whatever beach you are going to! If you are also taking an initiative or have an association to make this island a more unique island, please share it with us! 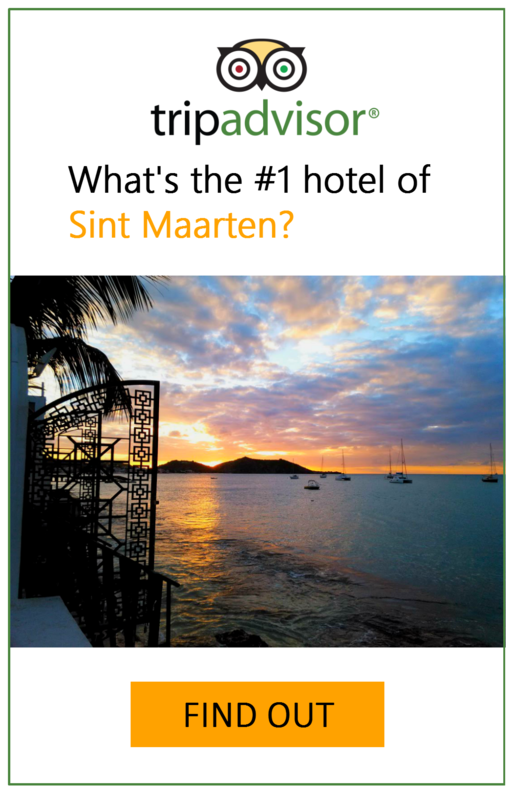 Leave a comment below or send us an email at stmaartenmap@gmail.com and we will be happy to share the info with our audience.